I’ve got an interesting Sherry pair for you today, both from the master of epic casks: Gordon & MacPhail. 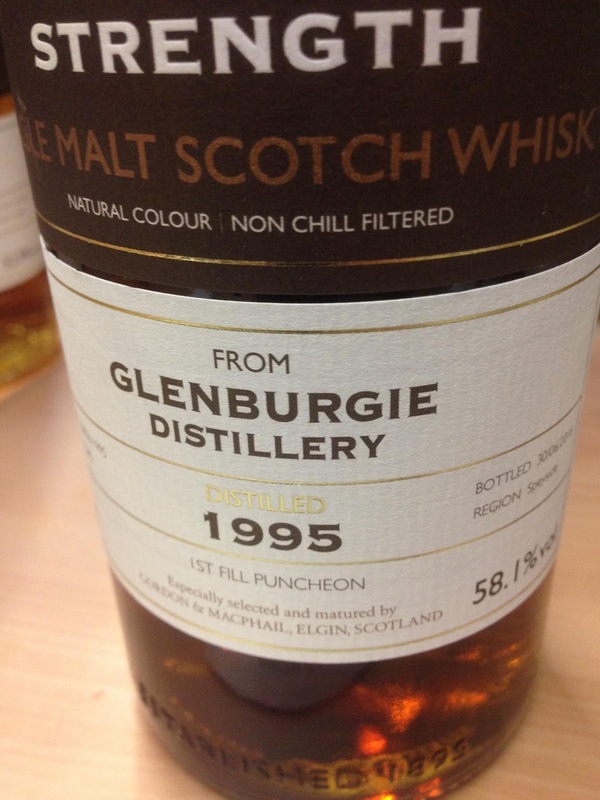 The spirit the whiskies came from are equally uninteresting (sorry) and unheard of: Glentauchers and Glenburgie. Both random Speysiders that you probably wouldn’t know from Glenellachie or Glenlossie. I have tried both before but was not particularly impressed with either, so was quite content to never try any again. But, when visiting Cadenhead’s London shop recently I saw these two from G&M, and what caught my eye was the colour and the age. Also, the fact that they weren’t sold out, like anything with a Cadenhead’s label. Then, Stephen (who does the Cadenhead’s newsletters) told me that he thinks Glentauchers is going to be the next big hyped distillery. I didn’t believe him, but it put the thought in my mind. Anyway, long story long, I saw these two bottlings later at The Whisky Exchange Show and thought yes. 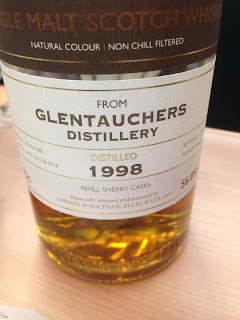 Nose: Great Sherry, great cask, cherry and lovely oak. Not too sweet or too oaky, just great balance. Taste: Lovely, malt, Sherry, lots of cherry, then BAM! Spice, ginger! Intense spiciness. Finish: Long length. Cherry stones and skins. A lovely whisky in which the cask is doing almost all the talking, but what a cask! Could be a Glenfarclas blind. Nose: Full, Sherry, black cherry, syrup, like a rich gateau cake thing. Lovely. Taste: Rich, full, black cherry, fruit compote, big Sherry, dark orange. Finish: Long length. Fruity, dark, Sherry. Great casks! Another lovely one, just edges the Glentauchers. It’s also a little sweeter, maybe more like a PX Glendronach.